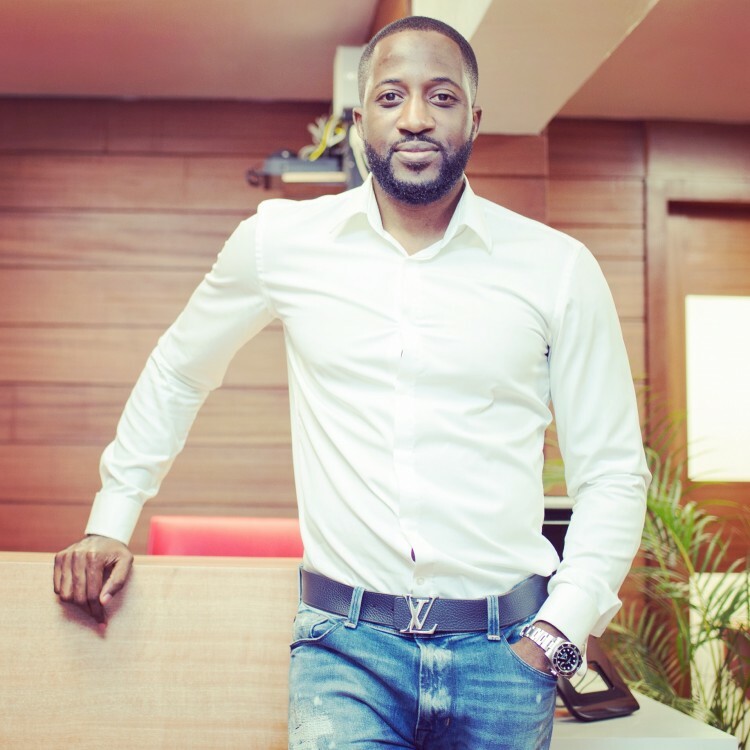 Olaotan Towry-Coker has been financially and personally involved in Nigeria’s online and startup industry for some years now. He did found Afritickets after all. 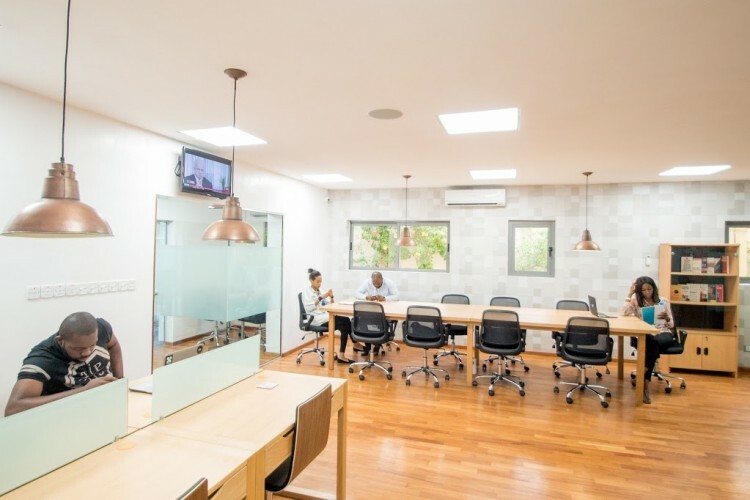 Recently, he took his confidence in the industry a step further by launching ‘Cranium One’, one of the few co-working spaces that have sprouted up due to Nigeria’s growing tech entrepreneurs, in the heart of Lagos’ business and financial centre, Victoria Island. It might seem like a strange time to plunge into a new venture. Fuel prices are at an all-time low, foreign exchange challenges still exist and major industries seem unable to handle the pressure as companies like South Africa’s Truworths International Ltd and Woolworths close shop and call it quits in Nigeria due to the tough regulations and rising costs. However, Olaotan Towry-Coker seems sure that, within the mayhem, Nigeria’s online and creative startup industries are quietly growing. As foreign exchange issues and import limitations have put major pressure on international businesses, global brands such as Amazon and ASOS have pulled out of the country’s e-commerce industry until the issues subside. This means that local online businesses, tech buffs and internet entrepreneurs are finally getting a chance to shine without the competition of major brands. Startups are sprouting out of every crevice and in particular in the city of Lagos, Nigeria’s ‘New York’ or perhaps it would be more apt to now call it Nigeria’s ‘Silicon Valley’. Cranium One is much akin to the San Fran think-tank spaces such as Rocket Space and PARISOMA where creatives, tech and independent contractors alike can meet and work independently and yet together in a clean, creative, cost-effective (and air-conditioned!) space. In UK and the United States, the concept of co-working is taken for granted as an alternative method of working. But in West Africa, where there is a growth of ‘techies’ and startups, Cranium One may be exactly what is needed to take the industry further. 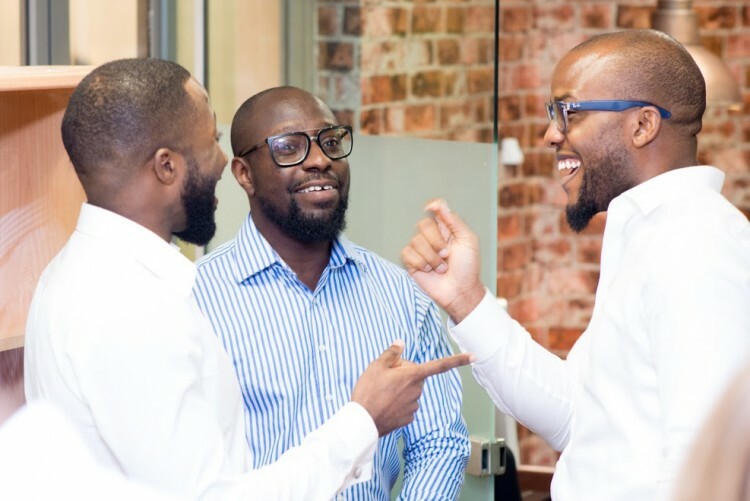 So here’s my interview with the brain behind Cranium One – pun intended – to ask about the startup industry in Africa’s largest city, and why Nigeria needs ‘think tanks’. 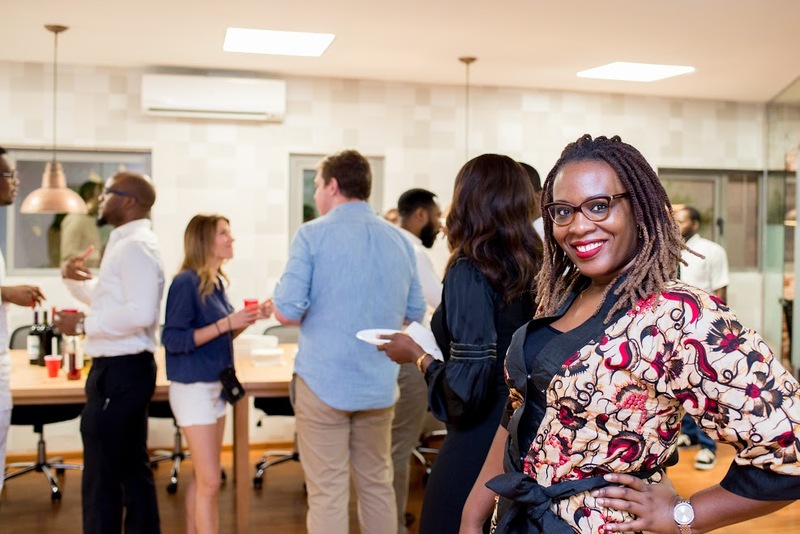 Are there a lot of startups in Nigeria? There are loads. Nigerians are extremely entrepreneurial. It’s a culture thing, we are very business savvy. An average person has three to four ‘side-hustles’ they are doing, even if it just selling mobiles phones, the average Nigerian has more than one job. The startup tech industry is a reflection of that and so is growing all the time. It is not quite the level of Silicon Valley but every day on blogs I read about new startups. Just the other day, I read about this diesel delivery service – Feelyatank – that allows customers to order their diesel on its app and online. The issue is capital, all these companies need capital and guidance. Why do most people have three to four business at a time? Nigeria is a very unstable country, the economy is constantly changing all the time. One sector could be up one day and then down the next. As an entrepreneur who is essentially running his own business and relying on environmental factors, you have to have multiple business to survive. It is imperative to diversify because you cannot have just one ‘hustle’ – it could disintegrate. You need a safety net. That is why people have more than one business in Nigeria. 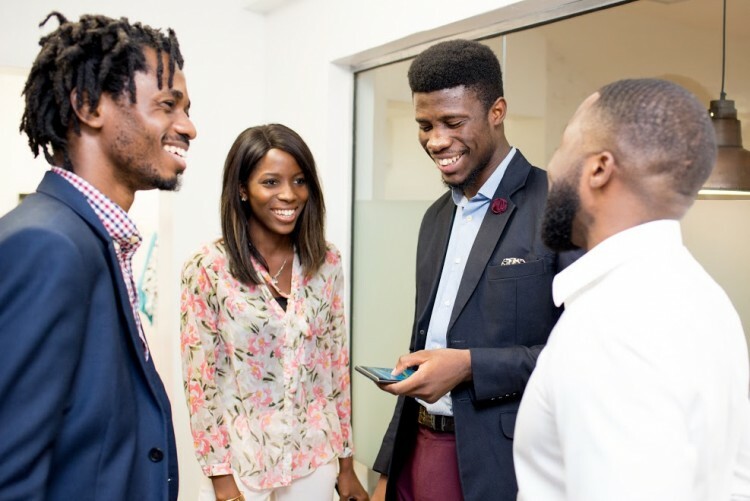 Do you believe the tech-entrepreneurial industry is growing in Nigeria despite the current economic issues? Yes it is growing, but it is not growing fast enough. I feel that we need to have a lot more support from the government, more grants, more access to capital, more structures to help tech-entrepreneurs to grow. Since joining the tech space, I’ve seen so much talent. We don’t have the ‘unicorns’ (billion-dollar tech companies) in Nigeria yet so there is room for growth that needs to be done. There are a lot of problems in Nigeria that the use of technology could solve. Since joining the tech space I’ve seen so much talent. Unfortunately it’s not being properly harnessed because of environmental limitations such as internet speed. Tech entrepreneurs have a really tough time out here. Has the foreign exchange and import limitations contributed to the challenges in Nigeria’s startup industry? Yes, unfortunately it has. For example, our company have developers based out of Nigeria and so we face major difficulties in payments to them and getting our products in the country. Imagine how many other companies face these same issues! There has been no talk of assistance from the government. People are unable to import their stock into the country, all the e-commerce companies’ costs have gone up significantly. It is a massive problem and there has been no talk of assistance from the government. Right now, only the manufacturing sector is being supported. The tech sector is still not considered important to the Nigerian economy so this is something that really has to change. How can we get the big cats to invest in Africa’s startup industry? Do we need foreign and international businesses to step in? Before we seek external support we should first support ourselves internally. There is a lot of money in Nigeria and many people who have access to capital and can invest in the industry within Nigeria. Africa is already on the map for foreign investment. So first of all, we need to educate our own about the sector and then once we make some good traction the foreign investors will come without us even asking. Africa is already on the map for foreign investment and all it takes is for a significant IPO-type, big company to happen for foreign investors to want to get involved. If the company is worth USD$5 -10 million level, it is not attractive, it is considered a ‘penny stock’. But once the company is worth $100 million and above, then they will come. You have been in the tech-entrepreneurial industry yourself for five years. How has the industry changed since you created and launched Afritickets? There is more awareness of the sector in the last five years. More people want to invest and set up their own tech company whether it be a blog or an app or an e-commerce company. There is also a lot more tech forums and spaces for people to speak with one another about the industry. Like any sector that starts to become successful, people jump in and everyone wants a piece although many of them do not understand what they are doing. There are a few gems and products that have the right market fit, however, sadly most of the products on offer are gonna fail. There is an increase of resources now as well, and more developers in Nigeria which is great and useful. When I did Afritickets, it was one of the first few – if not the first – ticketing template. Now people can develop and use my model for their businesses. That’s a tough question… I believe it will be a lot more developed. I see an international company coming in and buying out a successful e-commerce company and a lot more investment activity. The products will become more sophisticated and the government will show a lot more interest. They are beginning to understand the power of social media right now, so when they see the type of revenue the country can make through the tech industry they will have no choice but to become more heavily involved. Like any new industry, over time it will get better. What advice would you give to those starting their own business in this industry? Make sure you do a lot of research to ensure you have a good and viable product and something that people need. People often make products for themselves with unrealistic expectations that it will sell. A tech product may work well in New York but it may not work in Nigeria. What people don’t realise is that the problems are very different here, so it is important to make something for your own environment and to try to understand intrinsically what you are going to do and make. Don’t just start something just because you have the capital. I also think it is imperative to work with others and perhaps have a co-founder that can compliment your skills. Find that person or people that can further enhance and develop your product. It is very difficult to do it alone. Hence co-working spaces! Is this why you maintain that co-working spaces are needed in Nigeria? Yes, they definitely are. There is a growing need for flexibility in the work space in Nigeria. The economic climate is such that a lot of people are getting retrenched from their jobs which means there is an influx of people who need to keep working and may not have the capital to rent their own offices. There is also a great number of people coming into the market as entrepreneurs and a space like Cranium One is the sort of resource they need to enable them to do that. What exactly are the benefits of a co-work space for those in the startup industry? Ah there are so many! When you are working alone and at home sometimes that environment makes it difficult to focus. It isn’t a “professional’ space. Co-working spaces allow one to have a professional working environment but then the flexibility to come and go as you choose. These spaces also bring together like-minded people in complimentary fields such as graphic designers and coders! It is a way to work alone yet together, meet people and build your network. Having access to a great community of people who may share your mindset and interests is the major benefit. The people are key, without the community feel, you are pretty much just in a shared office. 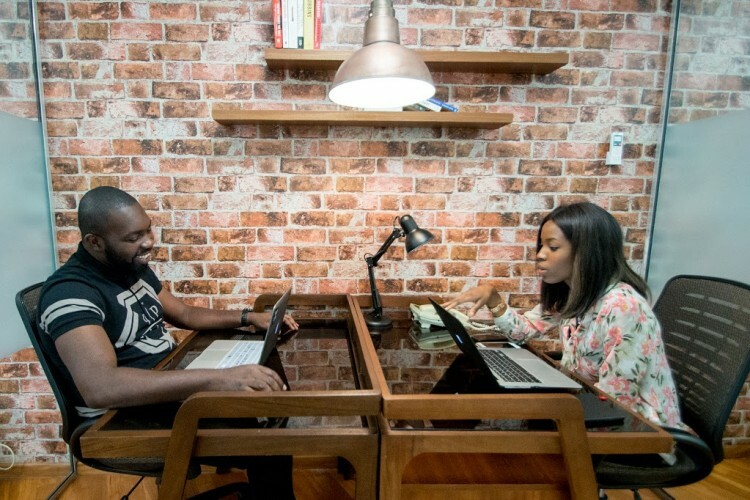 Do you think that Lagos could become Africa’s ‘Silicon Valley’ one day? Anything is possible! I’ll just leave it at that.